Since 1994, RAPTOR Inc. has worked with a licensed bird bander to band the birds we rehabilitate and release back to the wild. A metal band containing a unique number identifying the bird, the date of banding, and the banding location is placed around the leg of the raptor. The band numbers can then be used to collect indispensable information regarding the movement, survival and behavior of North American avian species. Analysis of this information can direct important governmental conservation and management decisions, and help us evaluate the effectiveness of our rehabilitation techniques. 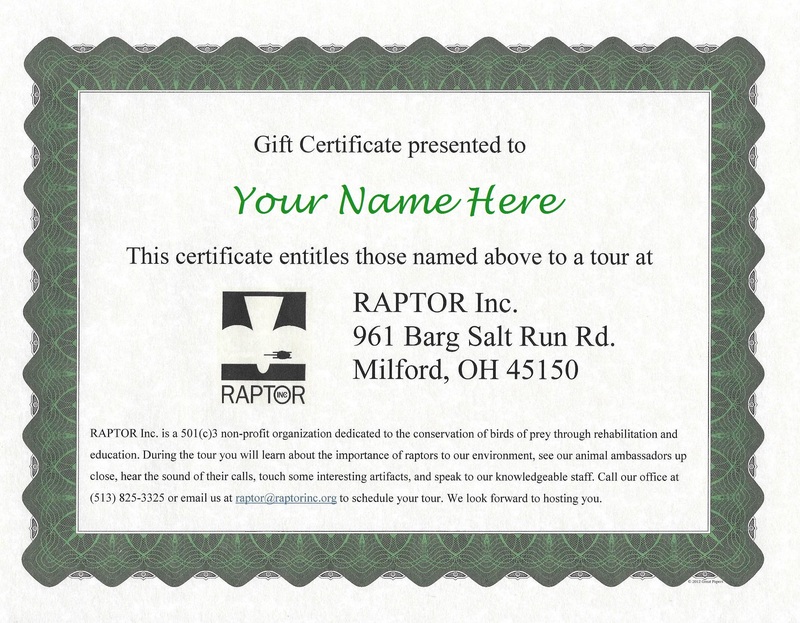 Those who sponsor a banded raptor will receive a fact sheet on the species they sponsor, and a sponsorship certificate detailing the banded raptor’s story, band number, release date, and vital statistics. If the band is recovered the sponsor will be notified of the date and location of the recovery. 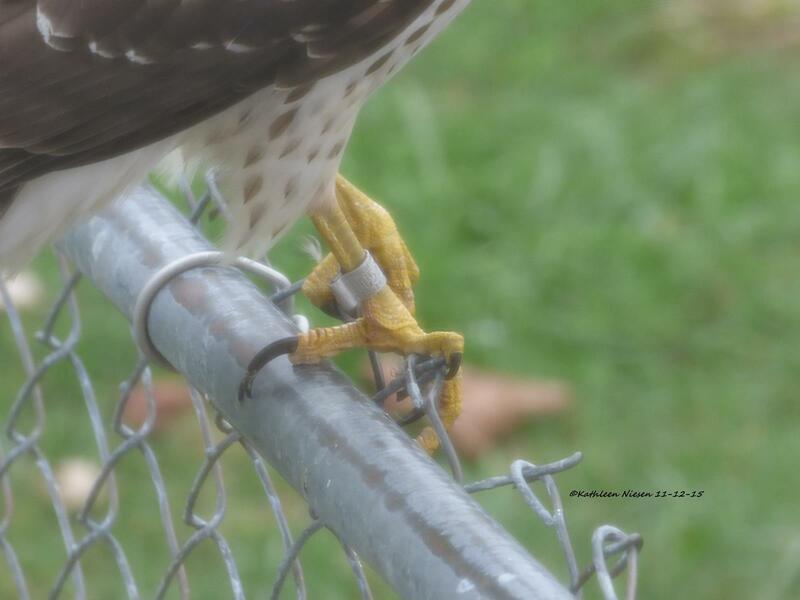 If you see a banded bird, we encourage observers to try to photograph the band number. 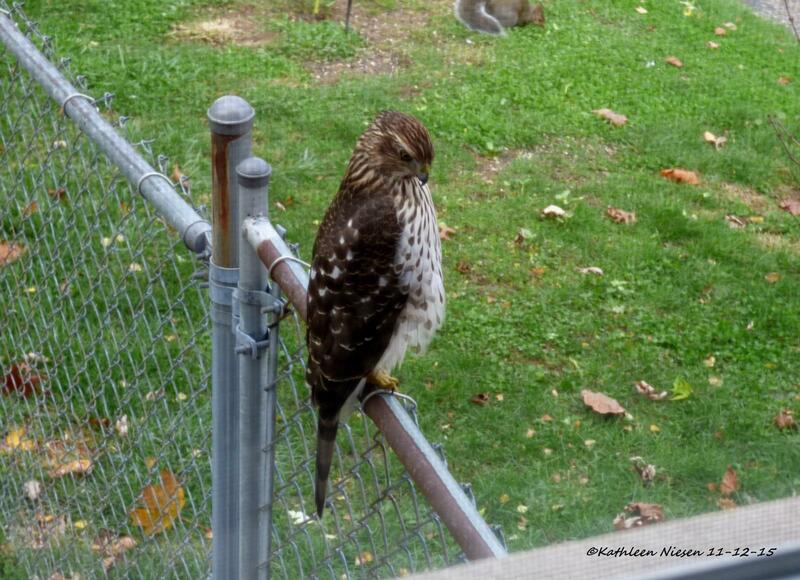 We will report the sighting to the US Geological Survey database if the band is readable. 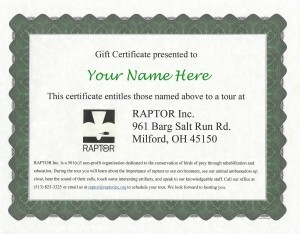 Educational Program gift certificates are available too! Call (513) 825-3325 for details. Please indicate your form of support.